There are several ways to create images from floppy disks, and this page describes some I have deployed. Here some ways to categorize floppies and the data written on them. 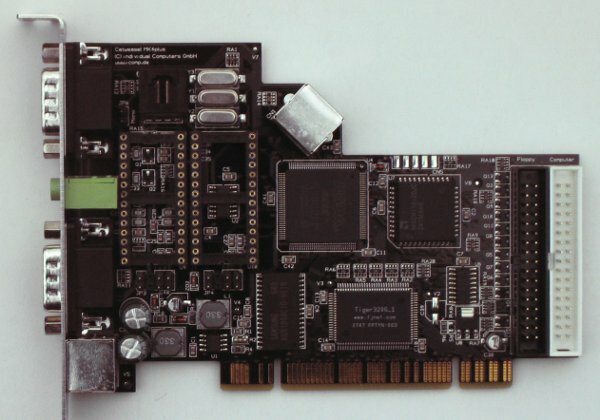 Catweasel 1 The original Catweasel card was one of the first to use an FPGA based sampler to read data from a disk. A clock measures the time between flux transitions. The values are read by a program and analysed. The clock can be 7.083MHz, 14.166MHz, 28.322MHz. This is enough for most non High-Density floppies. Nowadays ISA slot based machines are getting rare. 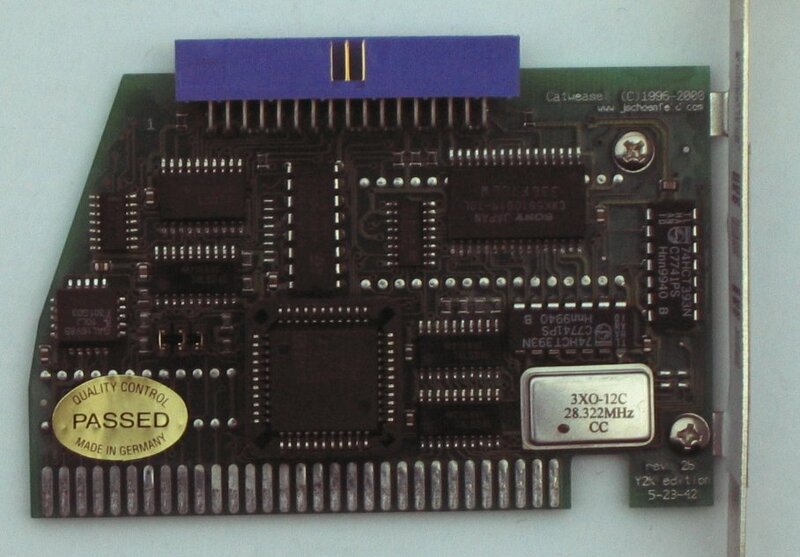 BTW, there is a Catweasel MK2, but it has a Zorro connector, only found in some Amiga computers. 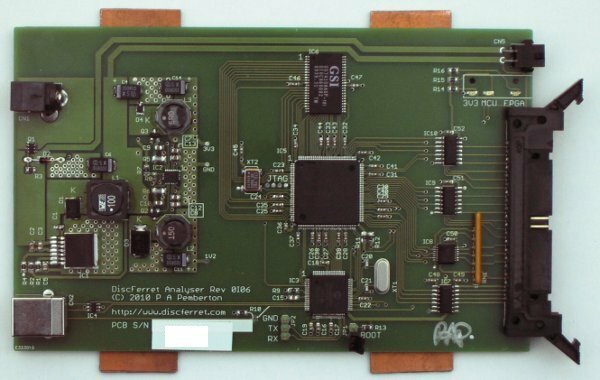 Catweasel MK4 (+) The Catweasel MK3 and MK4 were developed to allow hardware assisted emulation of the Commodore 64 and similar machines on a modern PC. You can connect original C64 joysticks and there are sockets for real C64 SID-chips. The clock can be 14.166MHz, 28.322MHz, 56,644MHz. The picture shows a Catweasel MK4+. Tim Mann's cw2dmk utilities developed for TRS-80 computer floppies, but supporting all FD 1771, 17xx, 27xx and FDC 765 floppy controller based systems as well as DEC RX02. My DFI-data conversion program is based on cw2dmk code. DiscFerret The DiscFerret uses the same concept of the Catweasels but uses USB as interface to a host computer. The encoding of timing data for the flux transitions is even identical. The clock rates are different; 25 MHz, 50 MHz and 100 MHz. This makes it possible to read MFM and RRL encoded harddisks with a ST-412 or ST-506 interface. Software for the DiscFerret is limited to a raw data dumper (Magpie) and an analysis program (Merlin) for this data. There are several initiatives for supporting other formats, one being my conversion for FM/MFM encoded disks. The KyroFlux is similar to the DiscFerret but the software is less open.